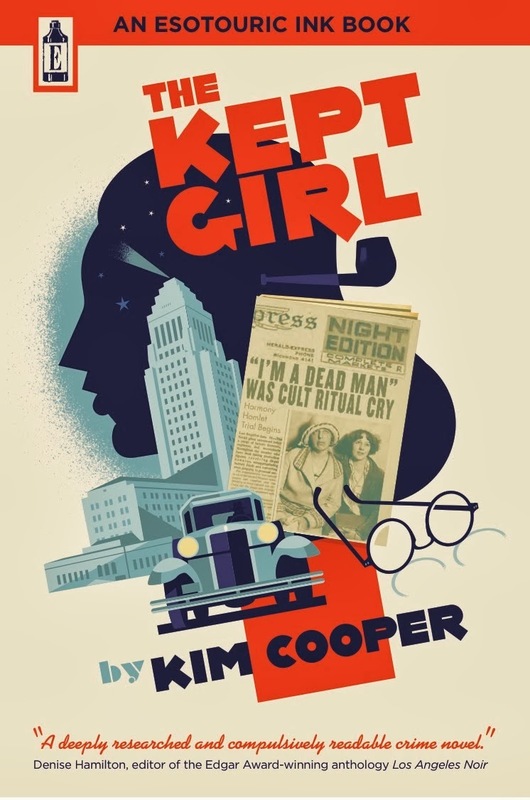 Bio: Kim Cooper is the creator of 1947project, the crime-a-day time travel blog that spawned Esotouric's popular crime bus tours, including Pasadena Confidential and the Real Black Dahlia. With husband Richard Schave, Kim curates the Salons of LAVA - The Los Angeles Visionaries Association. When the third generation Angeleno isn't combing old newspapers for forgotten scandals, she is a passionate advocate for historic preservation of signage, vernacular architecture and writer's homes. 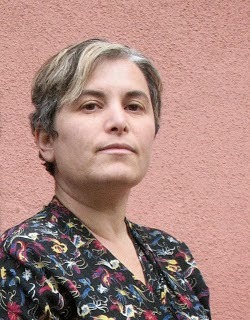 Kim was for many years the editrix of Scram, a journal of unpopular culture. Her books include "Fall in Love For Life," "Bubblegum Music is the Naked Truth," "Lost in the Grooves" and an oral history of the cult band Neutral Milk Hotel. The Kept Girl is her first novel. 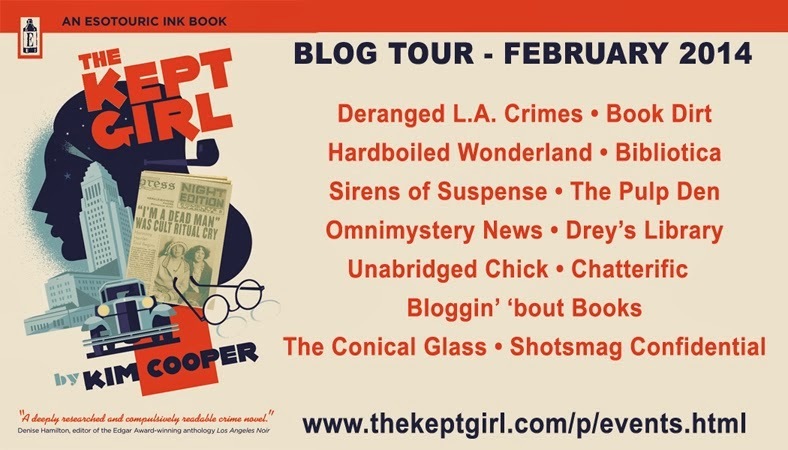 Thank you, Shots Ezine, for the opportunity to drop by on my February blog tour for "The Kept Girl," a novel of 1929 starring the young Raymond Chandler, his devoted secretary and the real-life cop who is a likely model for Philip Marlowe. With this post, I'd like to shine a light on a digital search tool that had a profound impact on my writing of "The Kept Girl" and that I think more writers of period mysteries should know about. Properly used, it's like having a phone line that goes directly back into the past, where long-dead writers can offer editorial advice. When working on a period novel set in Los Angeles in the 1920s, there are numerous useful tools that can be tapped, many of them freely available online. Archival photographs and film clips illuminate the physical environment, the fashions, signage and transit options. Scans of old menus reveal food prices and popular dishes. Vintage newspapers spell out the facts of the sensational fraud and wrongful death case that was at the core of my fact-based fictional plot, along with basic facts like daily weather reports. Census records give a precise breakdown of the demographics in a neighborhood. Historic maps show various routes my characters might take, decades before freeways simplified movement around the region. I used each of these tools and more besides, and they all contributed to the three-dimensional image of the historic city that I drew on while writing this book. But while I appreciated being able to access these research aids online, and enjoyed the speed of digital searching over the old mode of scrolling through microfilm or requesting boxes of archival material from busy librarians, all of these aids could conceivably have been consulted by a writer working in 1980 or earlier. But there was one tool that truly is born of the digital age, and it's an incredibly powerful one. That tool is Google's Ngram Viewer. A phrase-usage graphing tool drawing on more than five million books scanned by the search engine's now-stalled project to digitize every book ever published, it was released on the web in December 2010. With the Ngram Viewer, it is possible to "hear" the voices of the early 20th century, or any era, simply by throwing appropriate search terms into the database and seeing what it spits out. When writing dialogue, I'd sometimes find myself uncertain how a person in 1929 would phrase something. I knew what I needed Raymond Chandler to say — but how would he say it? By narrowing my search to the window of English language books published between 1925-1935, I could consult numerous examples of sentences by contemporary writers using the terms I was trying to chose between, and view a graphing chart showing if one term was much more commonly used than another. For example, when I wanted one character to tell another than he believed talking with cult priestess Ruth Rizzio might have driven his brother crazy, I initially wrote that she "drove him around the bend." which sounded good to my 21st century ear. But a check of Ngram revealed that in 1929, this phrase was purely geographical, so I replaced it with "turn cuckoo." Just a small thing, but one that made the voice of the character and the era ring more true. And when Raymond Chandler first encounters May Blackburn, the leader of the cult, my initial description had him noting that she had "body language" similar to that of a successful businessman. But something about the phrasing struck me as modern, and on throwing it into an Ngram search, I confirmed that prior to 1970, the phrase would have been meaningless. I cropped out the anachronism and breathed "thank you" to the engineers who developed this clever, useful tool and to generations of dead writers whose work answers questions they could never have imagined anyone asking. "The Kept Girl" is a modern novel, written on a MacBook Pro using the Scrivener software program, sourced from ProQuest newspaper archives and cinematic b-roll footage hosted by Archive.org, designed using the LuaTeX typesetting program, printed on a digital press and available as an e-book for the Kindle. But it is also, thanks to Ngram and a lot of hard work, a proper period piece, deeply steeped in the voice of that fascinating jazz age era. I like to think that if, through some wormhole in time, a copy found itself on a shelf in Dawson's Bookshop in 1929, a Los Angeles reader could pick it up and feel quite at home in the city portrayed within its pages. New sponsor for CWA Historical Dagger! The return of Cotton FBI!